With more than 25 years as a professional in the charitable sector, and over 15 years in fundraising, Jeanette brings a unique skill set to help grow and empower organizations to reach beyond their current situation to further their impact and change lives! Her background includes completing the Recreation and Business Program at Cambrian College and the Executive Development Program at McGill University, and other senior management/executive training programs. As a coach committed to developing people and teams, opening two state of the art YMCA facilities and exceeding targets, building success oriented strategic plans, her strengths are now focused as a Principal of the OtherHalf Consultants Inc. Her breadth of work in supporting organizations in the charitable sector through dynamic strategic planning processes, helping charities to communicate impact and through transformational leadership, and her track record of doing more with less, enables her to be embrace and direct growth. Eric Dean became CEO of the RVH Foundation team in the summer of 2010. Prior to moving to Barrie, Eric spent four years as the Executive Director of Queensway Carleton Hospital Foundation in Ottawa, launching a $35-million capital campaign for a cancer centre and major expansion. He also spent three years as the first Executive Director of the Canadian Blood Services Foundation. Eric was also the first Executive Director of Ross Memorial Hospital Foundation in Lindsay, Ontario – where he spent 11 years, successfully completing two capital campaigns and raising more than $17 million in the small community of Lindsay. Eric received his CFRE designation (Certified Fund Raising Executive) in 1997 and in 2002 he was made a Fellow of the Association for Healthcare Philanthropy, the highest accreditation in the industry, currently held by 16 Canadians. Eric has held leadership positions within both AHP and AFP, as a director of the AHP Canada Regional Cabinet for several years and as Canadian Mentor for the AHP International Board of Certification. Within AFP (Association for Fundraising Professionals), Eric is a past president of the Ottawa Chapter. He has also served on the AFP Canadian Council chairing the Ethics portfolio. Eric is a frequent presenter at national and international conferences on topics including planned giving, board development, transformational philanthropy and capital campaigns. Paulina has spent her career with United Way for the past 23 years working on annual campaigns, special events and with volunteers. She moved to Barrie from Oakville in 2010 and is currently working with United Way Simcoe Muskoka as the Senior Relationship Manager. 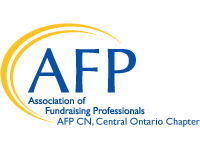 A long standing member of AFP since the start of her fundraising career, she has been a member of the Board for the past 2 years and recently took on the role of Secretary for AFP Central Ontario Chapter. She is also the Chair of the Board for a new and upcoming charitable organization in Collingwood. Melissa is a Manager at Powell Jones Chartered Professional Accountants where she provides accounting, financial reporting and auditing services. Melissa graduated from the University of Western Ontario in 2009 with a Bachelor of Management and Organizational Studies with a Specialization in Finance and Administration. She worked in the audit department of Deloitte LLP in London, Ontario before joining Powell Jones LLP in Barrie in 2012. She earned her CPA, CA designation in 2013. Tanya Wall has been the Executive Director of the Stevenson Memorial Hospital Foundation since December 2016. Prior to that, Tanya was the Director of Development for the Foundation. Prior to joining the Foundation in 2009, Tanya spent 14 years at Our Place (Peel), an organization dedicated to providing shelter and crisis counselling for homeless youth in the Region of Peel. Tanya is a Certified Fundraising Executive (CFRE), holds a diploma in Child in Youth Work (CYW), and is a graduate of the Fundraising Management Certificate program at Ryerson University. Tanya is a founding board member of the Association for Fundraising Professionals (AFP) Central Ontario Chapter and takes great pride in bringing networking and career development opportunities to fund development professionals in the area. Tanya is passionate about her work at Stevenson and especially enjoys the opportunity to facilitate the matching of donor investment interests with hospital priorities. Tanya and her husband David have called Simcoe County home for the past 10 years where they are currently raising two young boys. Catherine has worked and volunteered in the charitable sector for the past 18 years in both national and grassroots organizations in areas of business associations, health, mental health, and social services. Her career spans many areas in fund development management including major gifts, special events, grant and proposal writing, and database implementation. Catherine has a passion for leading exciting special projects and her analytical approach and eye for detail ensure that organizations and donors receive professional, and customized attention. Sue-Ellen has been the Director of Development and Marketing at the MacLaren Art Centre since 2011. She has worked in development and communications for more than twenty years, managing successful fundraising and marketing campaigns for not-for-profit visual arts, theatre and educational organizations including the Shaw Festival, the Varley Art Gallery, the McMichael Canadian Art Collection and Havergal College. She is a graduate of the University of Waterloo and holds an honours degree in English with an Arts Administration specialization in fundraising and marketing. Her early work experiences included stints at the Canadian Opera Company, the Council for Business and the Arts, the Kitchener-Waterloo Symphony and the Arts Administration Resource Centre (Edmonton, AB). Sue-Ellen has been part of the Barrie community for many years. Creating best donor memories is Rebbeca Truax’s professional raison d’être! Devoted to the charitable sector for over 22 years including 12 years in leadership roles, Rebbeca has raised funds for the arts, education and health care sector. Rebbeca is energized by the passion of philanthropists and how they change and elevate community. She focuses on donor engagement and dialogue. Rebbeca supports a culture of philanthropy thru volunteer activities including chairing the Planned Giving Council of Simcoe County Executive and serving on the board of the Central Ontario AFP. She also teaches Networking and Fundraising at Georgian College. Currently, Rebbeca is the Director of Philanthropy at the Royal Victoria Regional Health Centre Foundation which is in the final stages of a $25 Million campaign. In order to keep balanced Rebbeca road cycles, golfs, hikes, skis and is keen to try any sport that keeps her moving. Stephanie Knight is the Associate Director, Development, Advancement and Alumni Relations, Georgian College. She has extensive experience in the successful planning and execution of major gift, capital and annual fundraising campaigns. In particular, she has played a leadership role in helping Georgian raise over $48 M as part of Phase II of its Power of Education Campaign. Most recently, she created and implemented the strategy to raise $7 M in an aggressive 18 month timeline. In addition, she manages the awards and scholarship program which raises over $1 M in annually to help students realize their academic and career dreams. Prior to starting her career at Georgian as Manager, Resource Development in 2012, Stephane was the Director of Development at Gilda’s Club Simcoe Muskoka. As a new non-profit in Central Ontario and only the second club in Canada, Stephanie had the privilege of working with a dynamic group of volunteers and staff to raise the $3.9 M capital needed to build a new clubhouse. She then created an innovative major gift program that provided a sustainable revenue base for the organization for a number of years. As a fundraising and business professional, her expertise in creating long term corporate and philanthropic win win partnerships has enabled her to build a diverse portfolio of meaningful relationships. As a community volunteer and a Central Ontario AFP board member, her goal is to advance the fundraising profession and ensure that local fundraisers have the opportunity to learn and grown in this great profession.